Heel striking is bad, mmmkaaay? Ok don’t quote me on that one, the jury is still out. It appears research goes back and forth, back and forth on the heel striking issue. But the title was fun. Mkay? 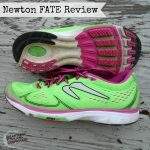 Let’s talk Newtons (the shoes, not the figs). If you have been interested in trying out a pair of Newtons like I have, you have more than likely done some research and asked around, only to hear that opinions on these shoes vary GREATLY. I’ve heard everything from “they are a gimmick” to “I hate them” to “I love them” and “I’ll never run in anything but Newtons again”. But let’s face it, the MSRP of around $175 a pair is a lot to swallow to take a gamble and see if you will love them as much as one running buddy does, or hate them as much as another. Regardless of the Newton specific research, I’ve been reading a lot about the proposed benefits of minimal shoe and barefoot running. I really had every intention of writing this blog post with various information and facts. But I won’t lie to you…I don’t take biomechanics until next semester in school, haha. And so reading various “opinions” if you will, as to what is more natural and efficient started to make my head spin. I’m only 24 hours post finals week, give me a break! Although, at this point, it does make sense to me that running in a more natural form, i.e. mid to forefoot strike (as you would if you were barefoot) would lead to more efficient running and ultimately less injury. As I mentioned a few posts ago, I was given a pair of Newton Gravity Trainers to test out. Biomechanics aside, I intend to give these puppies a full review as I train in them over the next couple of months, and give you my honest opinion on how they affect, if at all, MY running. What I say: Comfortable and lightweight? CHECK! Those actuator lugs? Uhh…I felt like I was walking in ski boots at first. Ok, that’s a BIT of an exaggeration, but it is certainly a different feel having those lugs under my feet. I imagined this ski-boot feel would be incredibly obnoxious to run with, but to be honest, I didn’t even notice them after the first few hundred yards. What I DID notice is that my cadence/turn over absolutely increased, thus increasing my speed. And it seemed to come naturally. Now, having spent many years in science class rooms, and just finishing a semester of exercise physiology, I’m well aware of the “placebo effect“. No, there was no sugar pill in my shoes, haha, but honestly, was knowing I am wearing Newtons causing me to subconsciously turn my stride over faster? To test this out, I tried to slow myself down. And honestly, it was incredibly akward and uncomfortable. What felt “normal” was consistently faster than my average pace for this around the neighborhood jaunt. And, if you have any questions about my experience thus far , PLEASE don’t hesitate to ask! So your cadence is faster, but does this mean you’re working harder? Did you feel more fatigued at the end of the run? Love mine. On pair number 5 right now. Takes time to see full effect – they are miracle workers, but help with re-learning. Enjoy! I’ve always wanted a pair of Newtons and I almost did it last summer but the price just scared me away. I’m also a tiny bit afraid they’ll break down quickly with long mileage training…what do you think? Thanks for sharing your experience. I’ve been so curious about these shoes after having had stress fractures twice, and starting out as a heel striker. I’ve tried changing to a more mid-foot strike, and think I’m doing alright, but wonder how much these shoes would help. I have never heard of these, thanks for the info, interesting stuff! Sounds interesting…and will keep reading review of same in the future! I want to try these as well. I am looking forward to the rest of the reports. Like Meg Runs, I’m interested to see how they hold up over long mileage so keep us posted! Interesting shoes. Keep us posted. A bit salty for my blood. How strange for this road/trail runner to see you running on SAND. That has to be a workout! In my opinion fancy shoes can’t and won’t replace a good training program based on the SAID principle. Also, wear them enough and your body will adapt to them, so you may have an immediate increase in cadence but will you still see that increase over time? Did you run faster with less effort? I would guess that you will have to consciously try to put in the same effort you’re used to in order to ontain the same training effects. 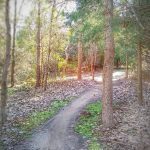 It’s easy to slack off in effort when you feel like you’re going faster. In other words, I would use them just as a racing shoe, not an every day training shoe. My coach swears by them and we do a lot of barefoot running in track workouts. It’s nice to hear another view on this — I’ve actually never heard a bad review of them. And really, they’re not much cheaper than my Sauconys…..
Have you read Born to Run? It’s a great book and visits a running culture in Mexico that primarily run in sandles. It discuses barefoot running, heel striking, and all that. the whole newton/barefoot/minimalist idea is interesting to me, though i haven’t had the patience to sit and read about it. (science-y stuff tends to make me zzz, lol). dropping $175 on one pair of shoes is another matter in itself. i am interested to hear more about your experience and research though, so please keep me posted! newtons look interesting.. how do they compare with the nike frees or vibrams though? 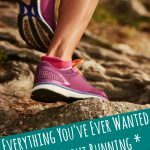 I loved the book Born to Run – I actually listened to it on my ipod while training and it made me much more aware of my running. I’m intrigued by the Newtons – so please keep us up to date! Very interesting, did you feel more fatigued as a result of the faster pace or did it seem to require about the same effort? This whole thing is really interesting. I have my bachelors in exercise physiology and I think you’ll see that even biomechanic professors can’t come to an agreement on the subject. Have you read research from Ovid or Medline on the subject of barefoot running or midfoot strike? Thanks for the info. I’ve been curious about the Newtons. I’m wondering about durability, since I can rip through a pair of running shoes in no time. I’ve never even heard of Newtons! I got my first pair in August and I absolutely love them. I noticed my running was faster, a lot faster than I was doing with older shoes. My feet didn’t feel as tired as when I was wearing my other shoes. I recommend them to my friends and my hubby will be getting a pair for Christmas :). ok i am in the process of working on my form and I keep reading about running barefoot. I was considering some vibrams because the streets are just too gross for me to go barefoot. it sounds like newtons might be another option. i’m going to read some more now…do the shoes last awhile at that price? Sugar pill in the shoes, too funny! Love hearing your input on the Newtons. So interesting that you had that ski boot feeling, but then it was gone when you ran. It reminds me of the wedge in the Nike Lunarglides. Hmmm. Can’t wait to hear more.